YOU HAVE PROBLEMS??? WE HAVE ANSWERS!!! Need rubber goods such as gaskets, sheet rubber or conveyor belt? 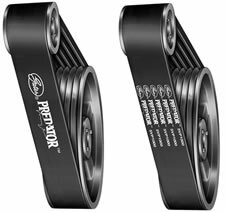 Need power transmission products, V-belts, Drive Belts, Sheaves or Sprockets? 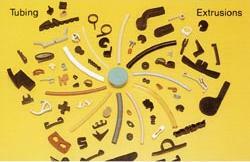 Looking for custom fabricated rubber products, shapes or extrusions? Have a lining, membrane or skirting problem? Have a tough corrosion resistant duct or pipe problem? BRING YOUR RUBBER PROBLEMS TO US!!! We have been in the rubber business for over 50 years. Whether its helping you find the right product for your MRO needs, supplying you with custom fabricated products for your production needs or installing rubber sheet, membrane or corrosion resistant duct, we have the experience and the answers!!! 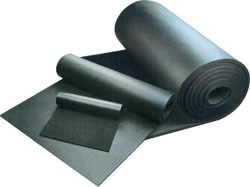 Need rubber goods such as gaskets, sheet rubber or conveyor belt? Call Lambert Jones. If it's power transmission products you need such as V-Belts or variable speed drives, try Lambert Jones first. These are typical responses from many of our satisfied customers. Since 1957, we've provided the correct quality products quickly from our large inventory. What is your specific application? What is your problem? Our knowledge and experience along with our personalized service contribute to the right solution for your needs. With same day shipping or our convenient location � minutes from downtown Pittsburgh. The product you need, when you need it is available. just give us a call or stop by. You'll learn quickly why we at Lambert Jones have become the supplier of choice of many companies like yours in the tri-state area.